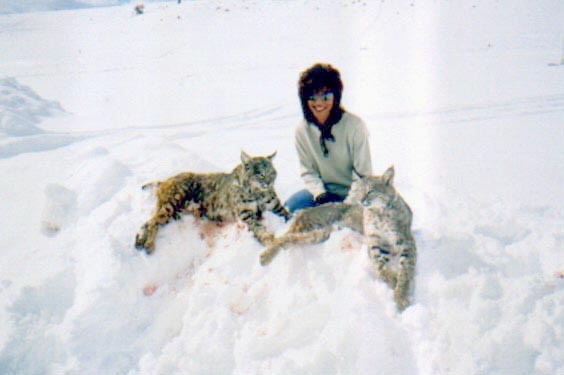 Lori Cherry with 2 bobcats in 2004. 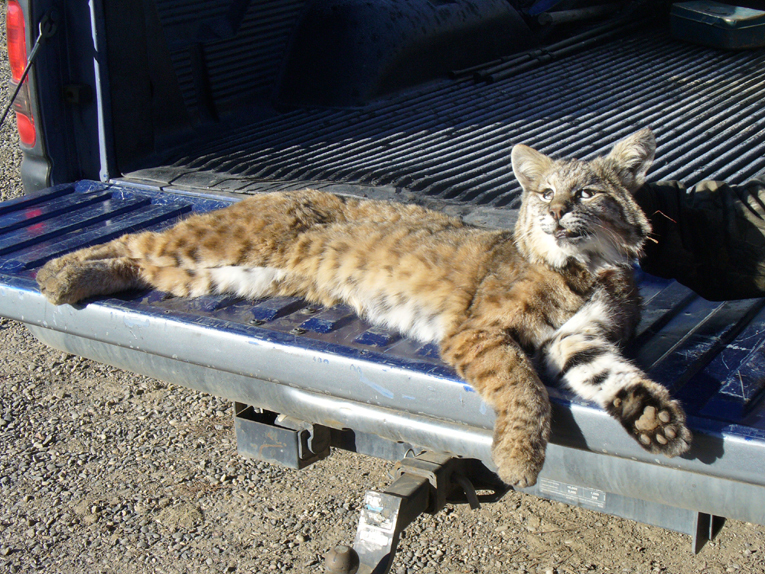 There are plenty of mountain lions (cougars) in this country due mainly to the abundance of deer. 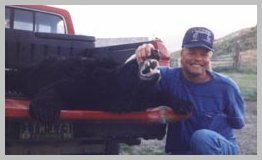 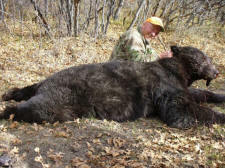 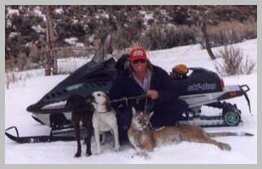 I don't guide mountain lion hunts or bear hunts myself, but if you're interested in that type of hunt on the Cherry Ranch, I can put you in contact with outfitters who will guide you.